If you are a music lover or iPhone lover live in the United States, you can make money with iTunes links and the iTunes affiliate program. 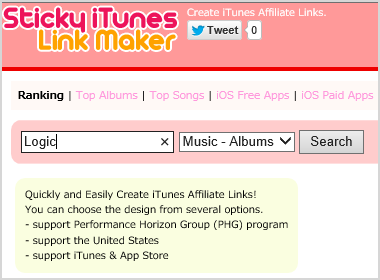 Make money by creating iTunes and PHG Affiliate Links quickly and easily! When you login, you can find “Affiliate Token”. 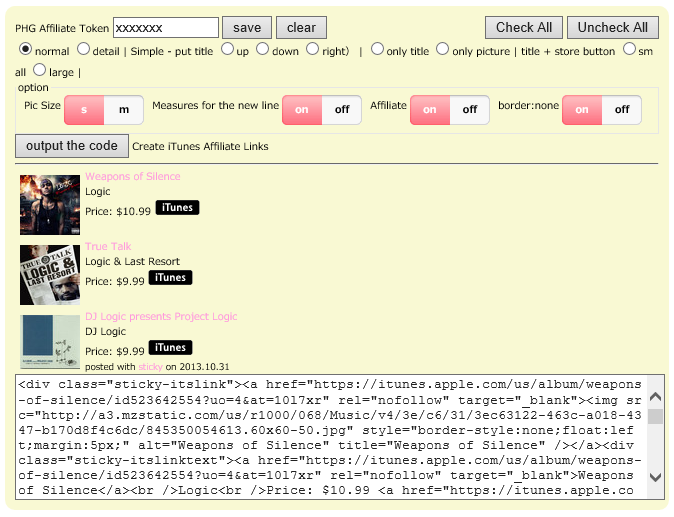 Sticky iTunes Link Maker – Create Affiliate Links! 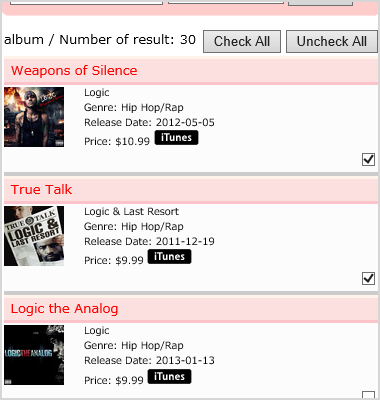 There are searchbox and ranking page. You can find some products. Checking some checkboxes, you can create affiliate links with inputting Affiliate Token.